Cellar Club is perfect for you! Cellar Club has been created for those who love our wines and want to ensure they can enjoy them often throughout the year. some very substantial discounts. (up to 25% off normal retail prices). You will have the option to select the wines of your choice and have them delivered twice a year, in April and November. 2 shipments of 6 wines of your choice per year. 2 shipments of 12 wines of your choice per year. in between your deliveries at your discount price by contacting us at the winery, or by logging into your account to place an order. 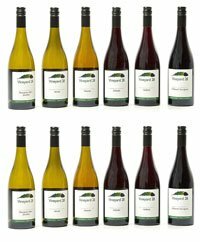 We will contact you via email 2 weeks prior to each despatch to ensure you are receiving the wines of your choosing. As a Cellar Club Member, you will also have access to a range of member benefits. It is a no obligation membership. At any time you will be able to pause your deliveries, change them or exit from the club altogether. Simply complete our online application form either from home or when you next drop into the cellar door. Alternatively, you are welcome to give us a call to start your membership. Members must be 18 years or older and reside within Australia. 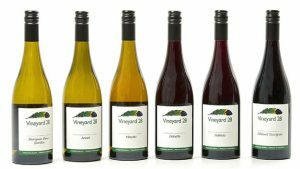 Members acknowledge that Vineyard 28 will debit your credit card at each despatch, until otherwise notified. Membership cancellation must be in writing to Vineyard 28 or contact us on 08 9733 5605 to discuss. You may pause, change the level or terminate your membership at any time. Members are required to notify Vineyard 28 of any address, email or credit card changes. will remain the same as your previous order. Wines are subject to vintage change and availability.